Last week I have properly experienced the very best explanation of what annoyance really means. Some rebuilding work started in my house, and for the mornings, I was constantly being awake by the sound of hammers destroying the opposite side of my bedroom’s wall. Not quite a good start, especially if you have nocturnal habits such as I do. Being happy enough with it, they also managed to mess up the insides and cut my internet connection for a few days. There’s been something else as well. Since I changed my account from http to ssh, I seem not to be able to properly checkout KDE code (from svn.kde.org). I am able to connect to the server, download/update some files and then my connection is closed all of a sudden (svn: Network connection closed unexpectedly). Although my connection seemed trouble-free, I was clarified by tomaNA, who asked me to run some connection tests, and discovered that there is a strong packet loss over my ISP hops. I’m not really sure on what to do other than call the ISP and bug them, but they will probably tell me to check if the cables are connected and reset my computer. So, as I was unable to properly get some fresh code, Tomaz asked me to study the Model/View Framework, for something he had in mind. He suggested the creation of a PlasmaListView for plasmoids such as the Kate Sessions, in order to make it look better on Plasma. I’m into it now and hope to have some results soon. Model/View programming is new to me (I’m just a padawan), so I’d be glad to have some suggestions or tips from the old-school KDE veterans 🙂 See ya! Do not think that because I’m not blogging too much those days, I quit KDE or something, actually each day that passes I’m more and more involved within kde ( and I have Helio Castro asking me to not be the superman that I’m trying to, just to prove =p ). About gsoc, my studant keeps rocking, he improved the code, and made the whole app much more significant than it was before. Rocs will now not be a “Graph Theory Application” as I talked in all those months, but a Data Structure Application, and I’m sure it will be one of the KDE – Killer Apps for applied science. stay tooned. I remember, a long time ago, Tomaz (tumaix || tcanabrava) showing me what KDE was all about, explaining all the philosophy behind it and why it was there for. While he kept saying how it worked, and all of that, I couldn’t help but to completely ignore every single word that he said. He’d let go a frustrated sigh. So that was my first contribution to KDE: a changeable number of pieces, a randomizer, and a color chooser. Nowadays, I am a bit more experienced, and the same Tomaz threatened kindly invited me to work on KDE at a daily basis as an intern under his guidance. He let me choose where to work and get used with KDE development. Fixed the old positioning, which generated only unsolvable puzzles. Chronometer running (just shuffle and solve it to know your time). There is still some to be done, and I hope to end it shortly. I know that it isn’t much, but I feel happy for it. My endless thanks for Tomaz, due to his enormous, endless, and incredibly lasting patience support 24/7. I’ll have more news next week! See you there! P.S. : I will be moving to another project very soon! Any suggestions? We (KDE Brasil) usually coordinate in advance about which talk proposals we want to submit, trying to come up with interesting topics on where KDE is heading to and some roadmap to guide potential new contributors and show off why we are a pretty amazing community 🙂 We usually got about half of the proposals accepted for presentation, activities in FISL program range from highly geek topics with non-sense titles like “The ant meets the elephant, or something like that” 🙂 to educational, bussiness-oriented, and government related talks. 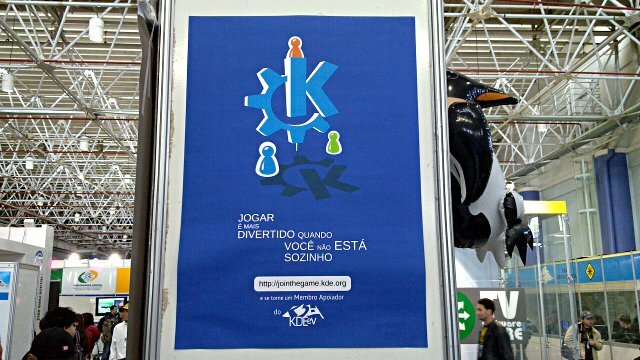 So, every year we get a felling of not enough room for KDE at FISL but we’ll always be there :), promoting our community and inviting fresh blood to join the game. KDE Lovelace: free software by women. Unfortunately the guys from KDE-MG (Amanda, Lamarque, Felipe, Anderson e Daniel) couldn’t attend FISL this year. Amanda would present this talk with Camila but Tomaz ended up helping her in the last minute. There were three talks about women in free software at FISL 11, the biggest one – in the same slot of ours – brought together 200 participants. Damn 🙂 Sounds like a plan a unified big women meeting next year. 3rd Brazilian KDE Users and Developers Meeting. That’s becoming a somehow “traditional” event at FISL and it’s a nice opportunity to provide recent news to general audience and receive some feedback about how users and developers have experienced KDE SC. In spite of the early morning assigned slot it was a fruitful meeting mainly because a new KDE regional group should come soon, organized by Domingos. Furthermore, it was a chance to promote the “Join the Game” campaign, to spread the technical advances, and say “join us”, we are a great and enjoyable family. 2nd Brazilian Google Summer of Code Students Meeting. Even though it isn’t a KDE dedicated event I wanted to organize this second GSoC meeting at FISL motivated by the great audience responsiveness last year. It’s been a forum to share our experiences, tell people “You can !”, and, of course, talk a little bit about Season of KDE and our achievements along the last years. It’s pretty cool to coordinate with previously unknown GSoC-partners and provide a very pleasant meeting. 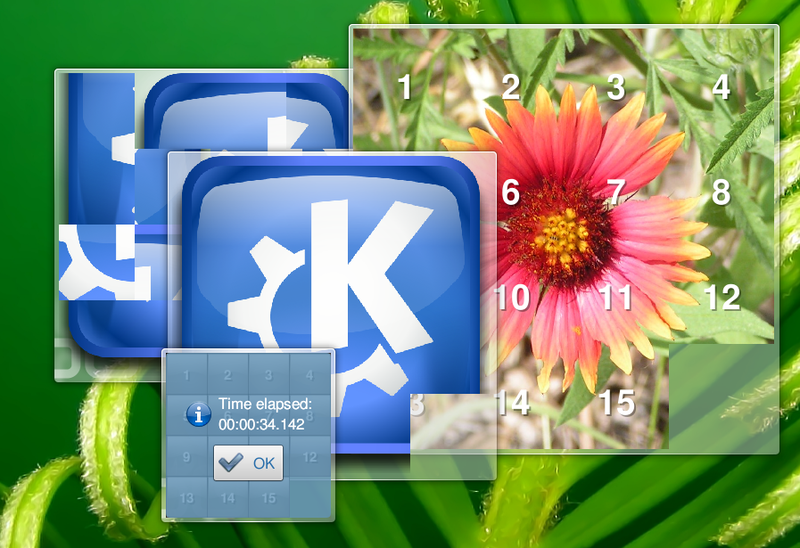 Next year, though, I should delegate that meeting coordination to someone else and really focus on marketing KDE. Every year we get more expertise about FISL, how it works and try to adapt our approach to a more efficient one. It’s been a busy time since I arrived from Tampere. After applying final exams to my students and publishing the scores, I’ve just had time to translate the “Join the Game” banner and have it printed out a couple of hours before a left Salvador. So … no t-shirts, stickers, leaflets this time but we are working to have this stuff easily available to the upcoming conferences. 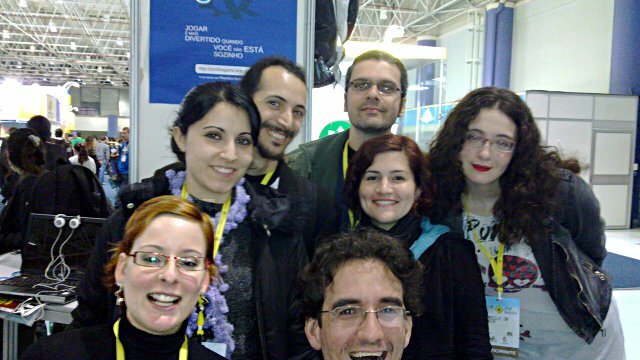 After all, the main reward to attend FISL in undoubtly to meet cool people, talk about KDE, and see at least one or two guys and girls willing to carry on the KDE flag to their new regional groups.